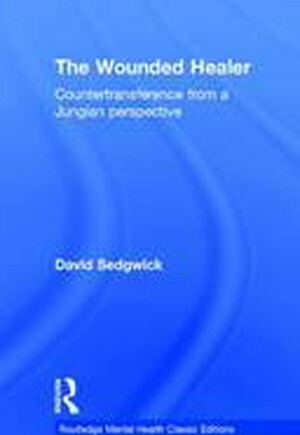 In the years since the publication of The Wounded Healer, countertransference has become a central consideration in the analytic process. David Sedgwick's work was ground-breaking in tackling this difficult topic from a Jungian perspective and demonstrating how countertransference can be used in positive ways. Sedgwick's extended study of the process candidly presents the analyst's struggles and shows how the analyst is, as Jung said, "as much in the analysis as the patient." The book extends Jung's prescient work on countertransference to create a dynamic view of the analyst-patient interaction, stressing the importance of the analyst's own woundedness and how this may be used in conjunction with the patient's own. Sedgwick begins with a discussion of the need and justification for a Jungian approach to countertransference, then reviews Jungian theories and presents detailed illustrations of cases showing the complexity of transference-countertransference processes in both the patient and the analyst, and concludes with a model of countertransference processing. This Classic Edition also includes a new introduction by the author. It will be an important work for Jungian analysts, psychotherapists and other clinicians and students interested in the struggles of the therapeutic process. Introduction to the Classic Edition. Introduction. Jungian Approaches to Countertransference: A Review. Case Illustrations. Conclusions. Notes. References. Index.